Yeti’s SB130 is an all mountain/enduro bike that can just about do it all. It’s built with the geometry of a long travel 29er, but suspension that’s more manageable for everyday riding—130mm rear and 150mm front. It replaces Yeti’s popular SB5.5, climbing more efficiently, descending more aggressively, with room for a water bottle in the main triangle. This is a bike that is just as fun riding flow trails as old-school gnar bar single track. It’s also perfectly capable climbing rocky washouts as tacking an alpine climb, and as maneuverable in high-speed loose corners as hopping over waterbars. It’s playful, with steering so precise that it will give you the confidence to tackle trails you previously might’ve passed. It’s hard to believe that full suspension bikes are still getting noticeably better. But they are. The improvements in the SB130 aren’t subtle, fraction-of-a-second saving gains only beneficial to a professional racer. They’re evolutions that will make anyone who rides the SB130 a better rider. New geometry and other features—which includes longer reach, steeper seat angle, slacker head angle and a shorter 44mm offset fork combine with 29er wheels—make the SB130 steer with race car precision up and down, climb efficiently without need to touch the shock lockout, and handle with agility and finesse. Yeti improved its Switch Infinity for 2019—the additional link that makes all of its bikes feel like the suspension is bottomless. In the SB130, it positioned it to stay out of the way of mud or dirt coming off the rear wheel. And the brand did it all while making the SB130 as playful, hoppy, and flickable as you want it to be. It’s easy to get this bike’s wheels off the ground, but it’s balanced and stable on the ground. Mechanics, both professional and home mechanics, will rejoice at oversized ports and internal tubes that make cables easy to thread and keep them out of the weather, and that make threading a dropper post quick and easy. Yes, like the SB150 and the SB100, the SB130 has space for a water bottle in the main triangle. It also has more standover height than previous Yetis, which means many riders can run a longer dropper post than in the past, and that the size small fits more riders than in previous bikes. Plan to spend the time to get this bike’s suspension dialed in. Thankfully, with the launch of the SB130, Yeti has a support tab on its website for every 2019 bike that gives suggested number of clicks to tune each of your suspension settings based on your weight and height. Use them—they’ll help you get the most from the bike. They’re a great place to start, and to fine tune from. We were surprised when we weighed the SB130. It’s around 29 pounds for the XX1 build with Shimano XT platform pedals. Though on trail, it pedals light. We had no problem keeping up on climbs with riders pedaling Yeti SB4.5s and SB5s. We loved the Maxxis Minion DHF 2.5 front tire, but will swap the rear Maxxis Aggressor 2.3 for something more aggressive and well suited to wet, technical east coast riding. 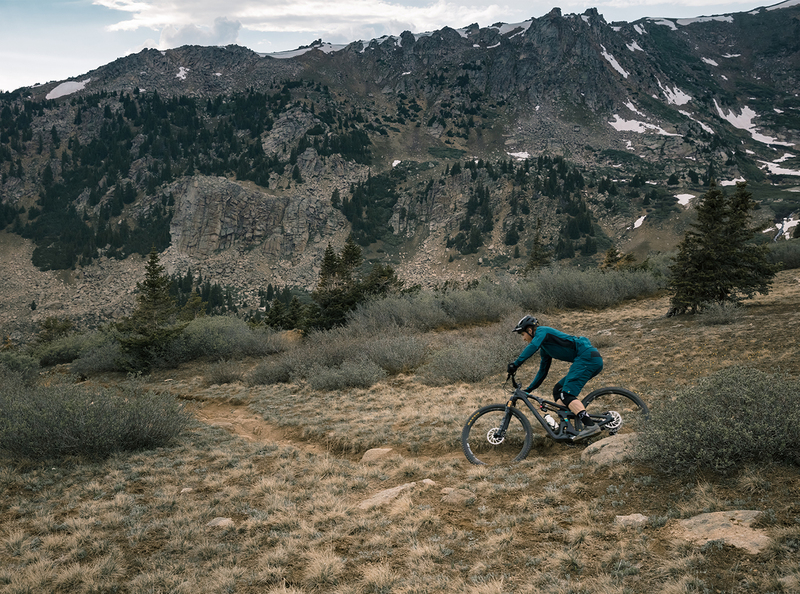 If you’re stumped by which bike to buy because you do a wide range of riding, Yeti’s SB130 is an easy choice that will help turn you from a good rider into a great one. In the past, opting for mid-range levels of suspension, like you find in most mountain bikes, implied sacrifice. With the SB130, there is no compromise climbing or descending—ups are efficient and spry. And on descents, you’ll reimagine what you thought you’d be able to do, and it’ll likely be faster, smoother, and even more fun. Get ready to leave your riding buddies in the dust.